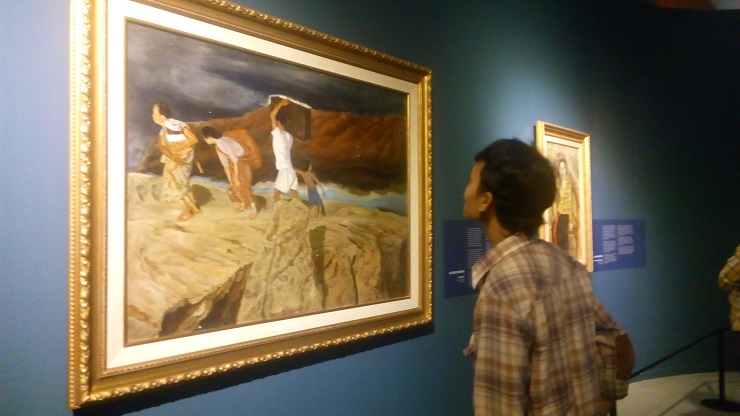 The art collection of Indonesia’s first president Sukarno is on display at the National Gallery in Jakarta. Five of the 28 pieces are by once banned Indonesian painter, Sindudarsono Sudjojono. 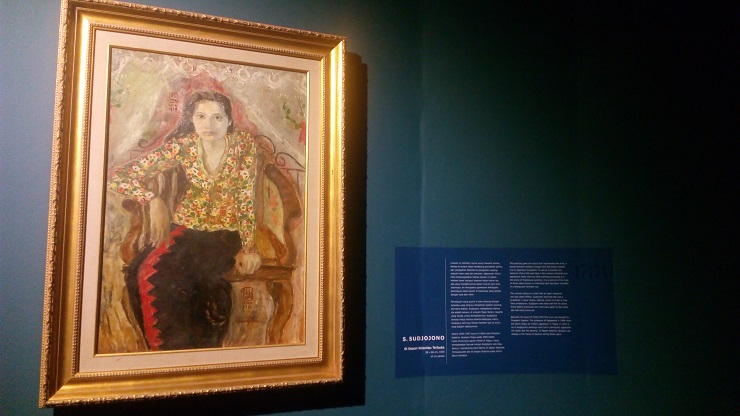 The art collection of Indonesia’s first president Sukarno is currently on display at the National Gallery in Jakarta. And five of the 28 pieces are by Indonesian painter, Sindudarsono Sudjojono. He was also the founder of the Institute of People’s Culture, (Lembaga Kebudayaan Rakyat), or LEKRA, an art organization that was closely associated with the Indonesian Communist Party or, the PKI. After the failed 1965 coup, LEKRA’s artists and their works were forbidden. 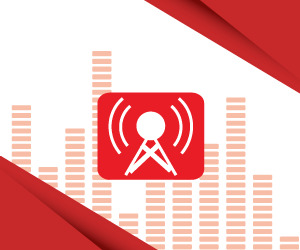 KBR journalist, Ria Apriyani has this story on their revival. During the New Order Era, the three decades that Indonesia was ruled by President Suharto, the works of Sudjojono were seen as illicit goods. 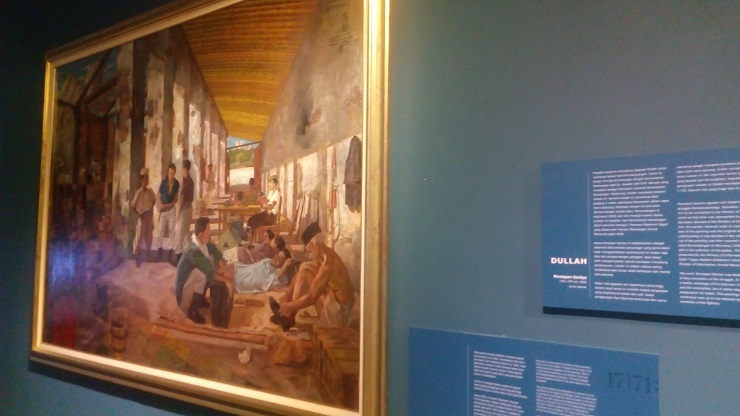 Mikke Susanto, the curator of the exhibition at the national gallery admits the tragedy of 1965 destroyed the artistic careers of the LEKRA artists. A failed coup in 1965 was blamed on the Indonesian communist party, and later became the justification for the deaths of more than a half a million suspected communists across the country. Because LEKRA was considered close to the communist party, their works were also shunned, including Sudjojono’s. “The dynamic behind every painter is outstanding,” says exhibition curator Mikke Susanto. Yet with this exhibition – the first of its kind – Susanto hopes the stigma attached to LEKRA’s artists can be removed. “I see this exhibition can heal a lot of wounds. History is full of wounds, and the art is a healing,” Susanto believes. Tedjabayu, Sudjojono’s eldest son, knew his father to be both a communist and a pioneer of Indonesian modern art. During his lifetime, Tedjabayu says, his father tried to break away from the pictures presented by colonial Indonesia. His father believed a painting should speak the truth, not just demonstrate beauty. “What was Indonesia doing behind the beauty?” asks Tedjabayu. “There was suffering, slavery, prostitution, and women exploited. Sudjojono did not see it in the art at that time. So he told me, where that existed was in socialist realism. Realism that presents the people’s interests,” Tedjabayu said. The artist’s sense of idealism grew as he fought the colonials. When Indonesia was fighting from the Dutch, Sudjojono joined the fight along with his friends from Pemuda Sosialis Indonesia (Pesindo) or the Socialist Youth of Indonesia. Tedjabayu recalls his father telling him that during the war artists would often entertain the soldiers. “My father was involved in the revolution and my mother was displaced by it. My father and his friends fought around Prambanan. They fought the Dutch. A lot of artists were invited there. They were entertaining fighters on the battlefront,” explains Tedjabayu. 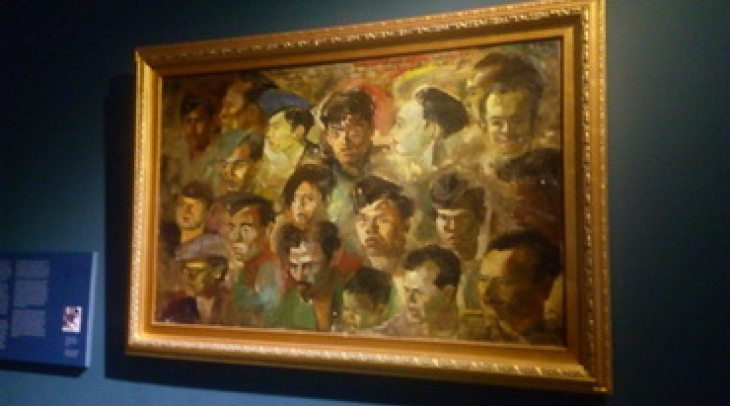 The experience in battle inspired Sudjojono to paint what he called, ‘the comrades of the revolution’. He painted the faces of 18 young fighters, and his son, little Tedja on a canvas. Tedja says his father had a deep love for Indonesia. Even when he resigned from the PKI after marrying a singer and his painting model, Rose Pandanwangi, Sudjojono’s ideology and love did not fade. At that time, the PKI removed his name as the founder of LEKRA and announced in the media that Sudjojono was fired due to a moral issue. But Tedjabayu has a different story. “The PKI was dishonest. The PKI made a statement that they fired Soedjojono for a moral reason, that's fine for me. But in fact, my father told my mother that he had resigned before the letter came out. It was wrong to say that he wanted to escape. Until he died, Soedjojono was a Marxist,” says Tedjabayu. For Sudjojono, a painting was not merely paint, colors and shapes. On the canvas, he entrusted himself, his ideology, and his hopes for his young nation.